It is said that beauty is eye of the beholder. Or perhaps that should be ‘…in the eye of the beholder after a lot of photo manipulation’! Marketing communication tools such as company brochures, website design, direct mail, advertising campaigns, etc all rely on promoting the right message to the right people at the right time. Use of imagery to project the message & values of a company, service or product is paramount. But who do we turn to if the actual image is flawed in some way? From the earliest days of expensive scanners and Barco Creator software to the recent explosion of Adobe Photoshop and the digital backed camera, one thing has remained constant and all-important: the creative flair and eye of the digital artist. 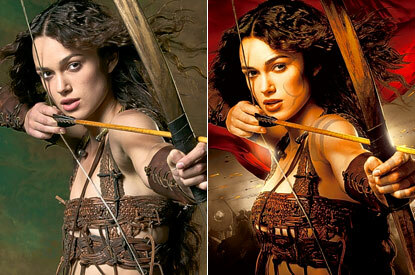 Some creative teams in marketing & design agencies employ specialists in image retouching and manipulation. They provide many services, from simple clipping paths that cut around the edges of the product image so they can be pasted onto a new background, through to complex retouching services to enhance the overall image, whether this be a product, person, building or landscape.